I’m going to blog about chapter 26 of my book. Rev. 3.16 has had its fair share of misreading. The usual meaning can be summarized by a famous mega-church pastor’s Facebook update, “Nowhere does the Bible say, ‘Because you’re white hot, I’ll spew you out of my mouth.’” This little sound byte (which happens in pulpits all across the US every Sunday) may preach well. The only problem is, the Bible also doesn’t say that Christ would spew you out of his mouth because you’re cold. In fact, Christ may like cold water. That’s just my guess from reading Matthew 10.42. I could be wrong. He could also like hot water. The problem with this kind of interpretation is that it has mistaken that the original readers analogize the biblical analogy in the same way and that somehow they experience life the way we frame our spirituality. In this case, nothing is further from the truth. In my last two blogs, I’ve discussed the importance of reading the text based on the experience of first century. One of the experiences would be geography. Water existed in geographical locations in those days. People would get the water from such locations and make use of it. Thus, in this blog, I will lay out the geographical experience, and you decide the meaning. 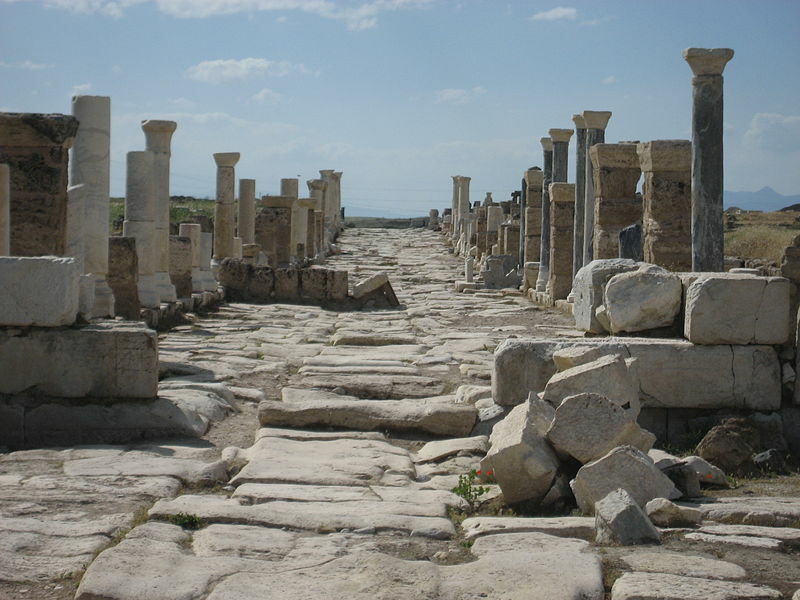 Laodicea (modern town of Laodikeia) located in the middle of Lycus River that came down through the Lycus Valley in Asia Minor. Downstream from it was Colossae. Due to the volcanic activities, the upper Lycus Valley, in the areas of Hieropolis, possessed hot springs that were beneficial for healing. By the time the water reached Laodicea, it would’ve been luke-warm. As the water continued to make its way down to Colossae, its impurity had been cleansed and the Colossians could drink the cool water. Thus, in upstream area of Hieropolis, the hot water had a better use for healing. In the downstream area of Colossae, the cold water was great for quenching thirst. Right in the middle was Laodicea where the luke-warm water was. Think about what Rev. 3.16 actually was saying. PS. For more reading on the geography of the Seven Churches, get Colin Hemer, The Seven Churches of Asia Minor in their Local Setting.